Xerocon London 2018 gave us one of the greatest experiences we’ve ever had. It was the biggest conference held till date with over 3,000 people from all over the world who attended the event. 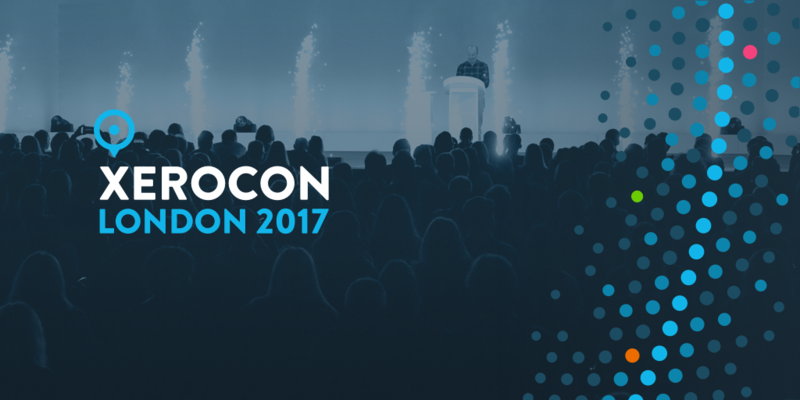 Xerocon is a 2-day conference held each year for accountants, app developers, bookkeepers and all those who would like to know more about what Xero puts to the table. Xero is a reliable cloud accounting software that has all the time-saving tools required to grow businesses. Starting with Day 1, it was a day filled with insightful sessions from leading and inspirational people like Gerd Leonhard, Gary Turner and Steve Vamos along with some big and important announcements. Their talks encouraged us to take a look at our practice and also life with a new approach. The biggest announcement that was made was that Xero has acquired Instafile. Instafile is a London based startup that provides cloud based accounts and tax production for Xero. It has helped accountants in having a remarkably easy and fast experience for filing statutory accounts and tax directly to HMRC and Companies House. Instafile has been a much awaited feature by the accountants and bookkeepers of the country since before its acquisition by Xero, they’ve had to rely on separate systems that may or may not integrate with Xero. From now on, Xero will offer its partners bookkeeping, corporation tax, self assessment and statutory filing for small clients free of cost as a part of the Xero HQ package. Making Tax Digital (MTD) is an HMRC initiative designed to make sure the UK tax system is effective, efficient and easier for taxpayers. It sets out a vision for the end of the tax return and a ‘transformed tax system’ by 2020. With the right software, Making Tax Digital will make it easier for small businesses to record and file their tax returns online, tax recording will be error-free, have a lesser chance of miscalculations and fraudulent activities, and the process will help businesses, accountants and HMRC save a lot of time. The big announcement made was that HMRC has listed Xero as one of the softwares compatible with MTD for VAT. MTD for VAT will begin on April 2019 after which all the VAT registered businesses above the threshold of £85k will have to keep digital records and submit VAT returns using compatible software making it a good news for Xero. In addition, Xero released two new industry specialist app advisory badges in Xero U plus a cash flow playbook to help clients reach their cash flow goals. At the end of both the days, there was a huge party with something for everyone – delicious food, drinks, a DJ and a band, mini golf, karaoke and also a 360 degree camera booth. If you think that a conference held for accountants and bookkeepers would be boring and dull, you will be surprised to see how well they know how to party. In conclusion, Xerocon 2018 was an insightful yet fun-filled experience and we cannot wait for Xerocon 2019. It was great to know about the new updates by Xero and also meet so many interesting people from different places. Also, we would like to congratulate the winners of Xero Awards – RDA Accountants, The Core Group, BVSA Group, Go Cardless, Fluidly, Figured App, Futrli, Iwoca, AM Accountants, Rowdens Chatered Accountants, Blu Sky, Albert Goodman, Lewis Ballard Ltd., BDO, Mark Telford, CH Accountancy and Beyond. The winners rightfully deserved to be awarded, their work has been remarkable. I and my wife had a great time at Xerocon. When people think about a conference with accountants and bookkeepers, they usually think it would only be work related but trust me, there were people who came from all over the world and they were the best company we could have had along with the amazing Xero team. We look forward to attending more Xero events in the future. It was truly memorable.